As Chef Marco did not have any friends or family in Cape Town, he was ‘loaned’ some, being MasterChef SA finalists: Deena Naidoo, who won Season 1; Sue-Ann Allen who came second in Season 1; Leandri van der Wat, who came second in Season 2; Ozzie Osman, a finalist in Season 2; and Sipho Mdlankomo, who came second in Season 3. Each of them (with the exception of Leandri) went to buy an ingredient prior to arriving at the cooking studio. 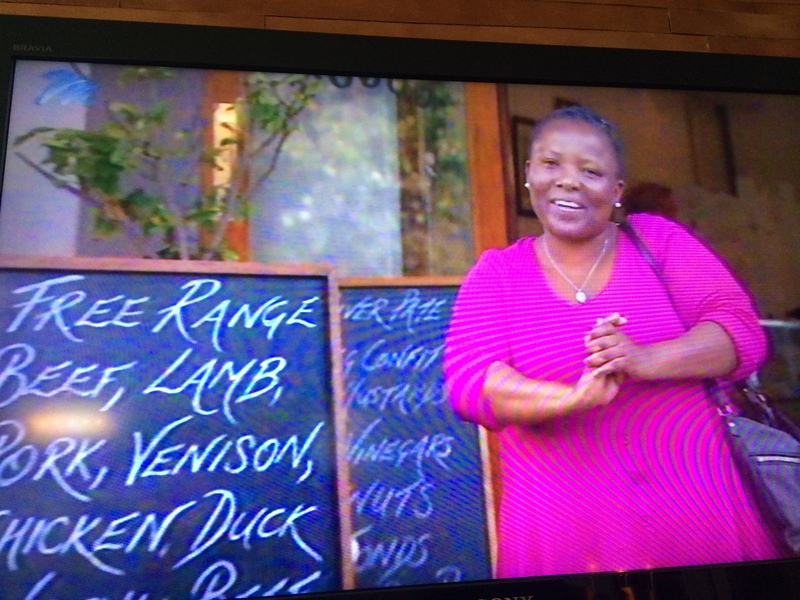 Sue-Ann went to Wild Peacock Emporium in Stellenbosch, to buy a whole duck to support nose-to-tail cooking, describing it as ‘food heaven’, selling meat, cheeses, and cakes. Deena went to Die Pampoenstalletjie, and brought along a pumpkin. 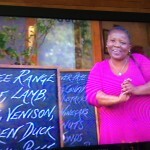 Sipho went to Gogo’s Deli in Newlands, and bought tongue. 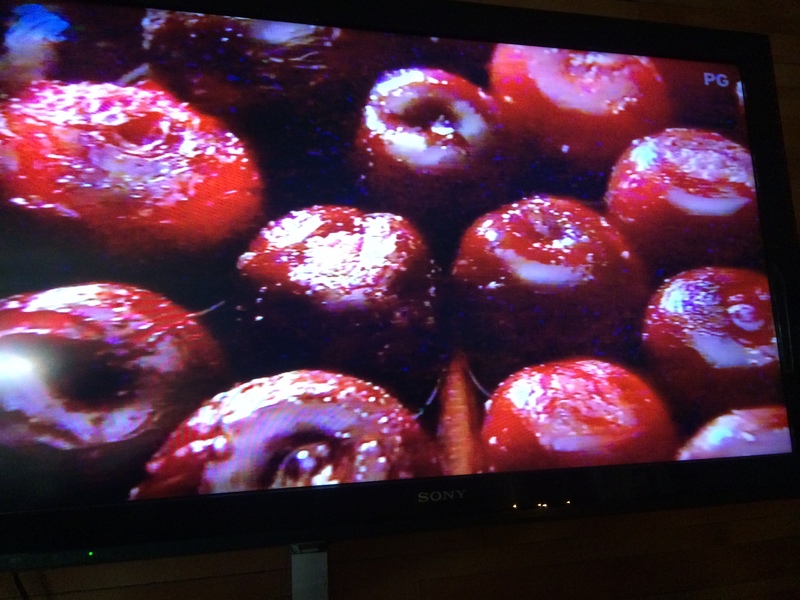 Ozzie Osman went to the Bluebird Pantry in Muizenberg, where he bought a basketful of plums. 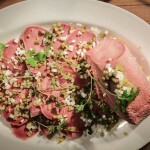 Chef Marco and Leandri drove to Franschhoek, to buy smoked gammon at Bread & Wine from Chef Neil Jewell, a Christmas dish which the mother of Leandri (and her MasterChef SA Season 2 sister Seline) prepared so well for Christmas before she passed away. Chef Marco shared that he too had lost his mother when he was young, so followed in the footsteps of his father and grandfather in being a chef. He left home when 16 years old, to work in a kitchen. He soon learnt knife skills, and that any response to the chef is ‘Yes Chef’, no matter how one might feel inside! * Duck a l’Orange, stuffed with pork mince, sage, apple, and breadcrumbs. For this dish orange segments had to be cut, Leandri volunteering, but Chef Marco was not happy, showing her how to do it. 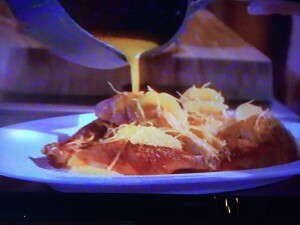 The duck was placed into a cold pan, to render the fat, and then put into the oven. * Honey and sage glazed ham, which Chef Marco seasoned from a distance, and drizzled honey over it. * Tongue and capers, gherkins, and boiled eggs. Chef Marco placed the cooked tongue into a Le Creuset dish, squashing the lid down hard and then wrapping it with clingwrap to keep the lid closed. It was then placed in the fridge, and when taken out, it had shrunk. 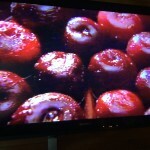 * Plums roasted in spices, prepared with sugar and butter, served with vanilla ice cream. 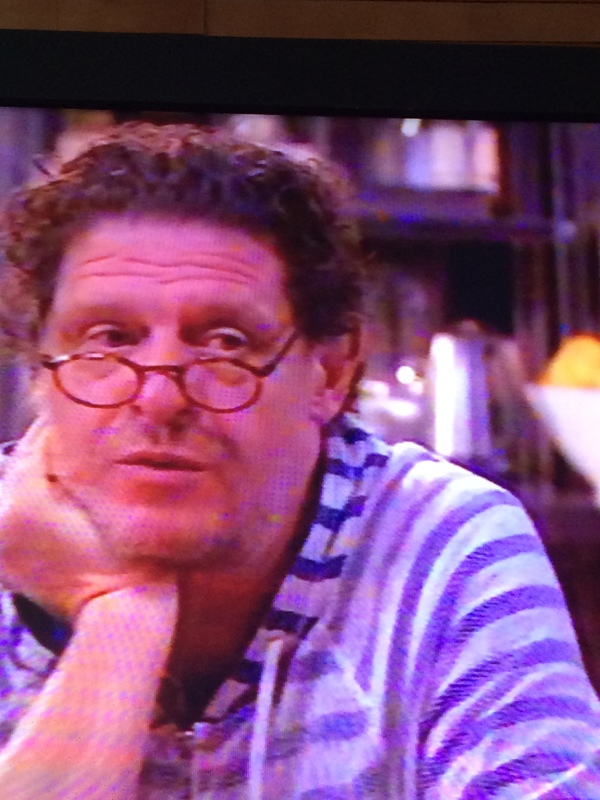 Whilst eating, Leandri asked Chef Marco if he had ever lost the passion for cooking. He told her that once his restaurant had received 3 Michelin stars, he had to keep them, making it boring to cook the same dishes over and over again, there being too much to lose. After five years he gave the stars back to Michelin, and ‘retired‘ from the stove. He said it has given him the freedom to travel and to not be in the kitchen all the time. He admonished chefs who put their names outside the door but are rarely there! 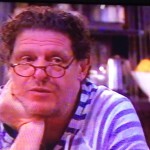 He also shared that his Mentor Chef Albert Roux told him that one can cook better if one does not fear the stove. 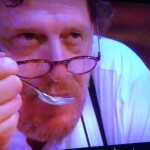 One should also not be intimidated by people around one in the kitchen, he said. Boldly Sipho asked if he would employ her, and he said he would, as she gives of herself, he said. 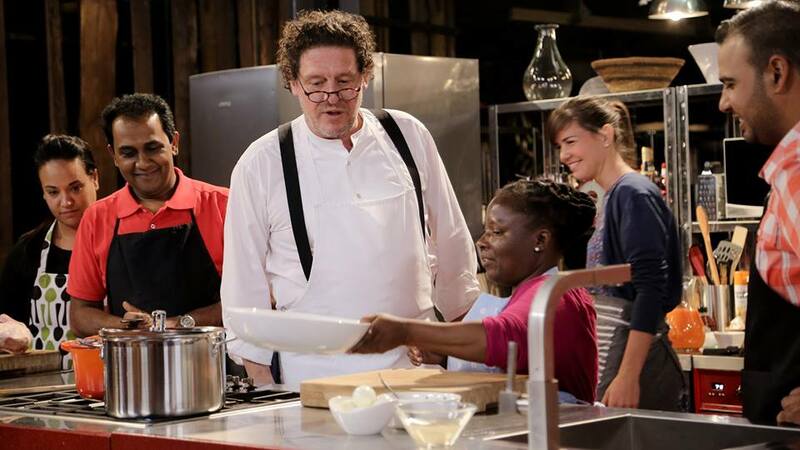 Chef Marco set the last and tough challenge for the last episode of Season 3 of MasterChef, which saw Roxy Wardman win the Season. Leandri said she had taken the art of perfection with her, really understanding what it means when she was shown how to cut the orange segments by Chef Marco. 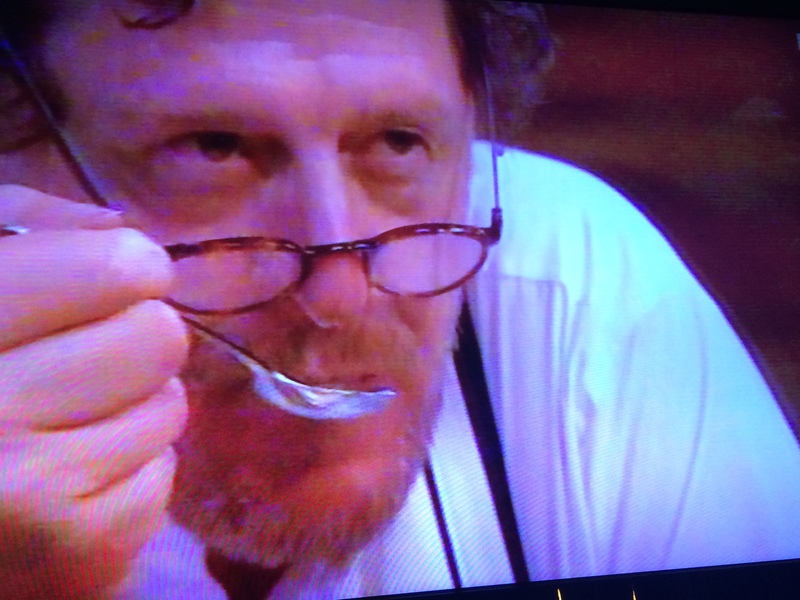 Concluding the episode Chef Marco said that the story of cooking and dishes is more important than the recipes themselves! 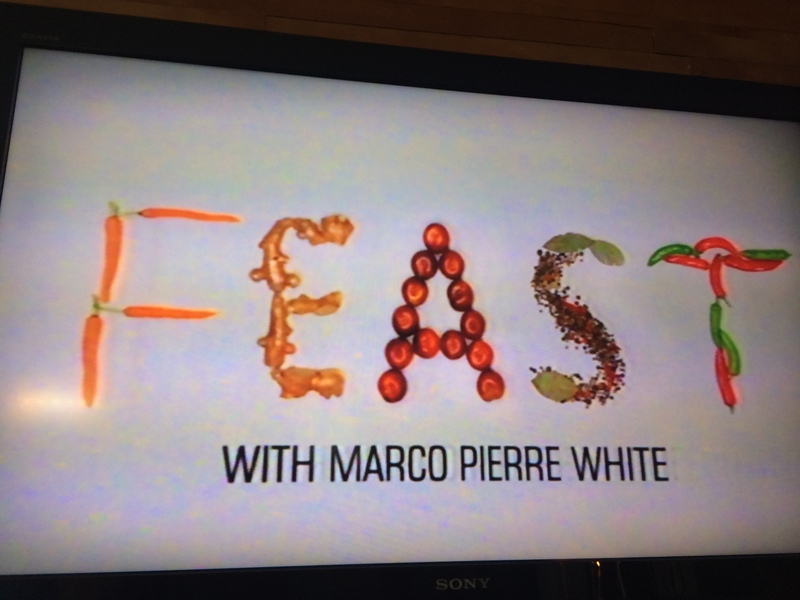 Speaking to Chef Reuben Riffel about ‘Feast‘, it appears that none of the four chefs have seen the episodes to be broadcast, not even their own. 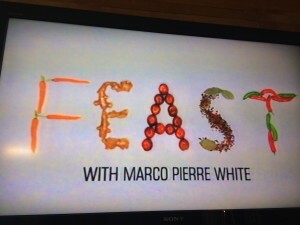 Chef Reuben’s ‘Feast’ will be broadcast on 1 January, and Chef Benny Masekwameng’s on 8 January. What a professional programme this is! Just loved it! Tomorrow night it’s Chef Reuben Riffel Micheline.